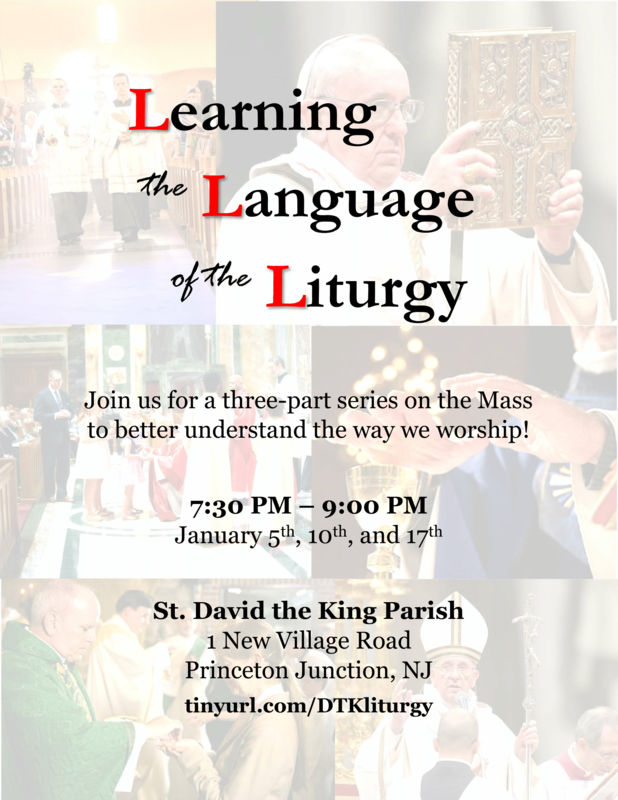 There will be a three-part series on the Mass at the Great Hall at St. David the King in January. We will meet from 7:30 PM to 9:00 PM on the following dates: Jan 5 (Thurs), Jan 10 (Tues), and Jan 17 (Tues). In the first session, we looked at the Mass as re-presenting the last events of Christ’s early life, from his entrance into Jerusalem on Palm Sunday (in the Entrance Procession) through the Crucifixion (the Eucharistic Prayer) and the Resurrection (the Communion Rite) and finally his Ascension into heaven (the Final Blessing and Dismissal). In the second session, we looked at four ways to prepare for the prayer of the Mass (“warming up” with personal prayer, familiarizing ourselves with the readings, abiding by the Eucharistic fast, and making sacramental Confession when necessary). Then we walked through the Mass from the Entrance Procession through the Creed, unpacking meaning found in the words, symbols, and gestures. We spent close to an hour on the Apostles’ Creed and Nicene Creed together. In our third and final session, we will pick up where we left off, starting at the Prayer of the Faithful and going through to the Dismissal. Close attention will be paid to the Eucharistic Prayer. If there’s time, we’ll look at the meaning behind the vestments and gestures of the priest. If you’re interesting in bringing this series, or one like it, to your parish or small group, please contact me by leaving a comment below.